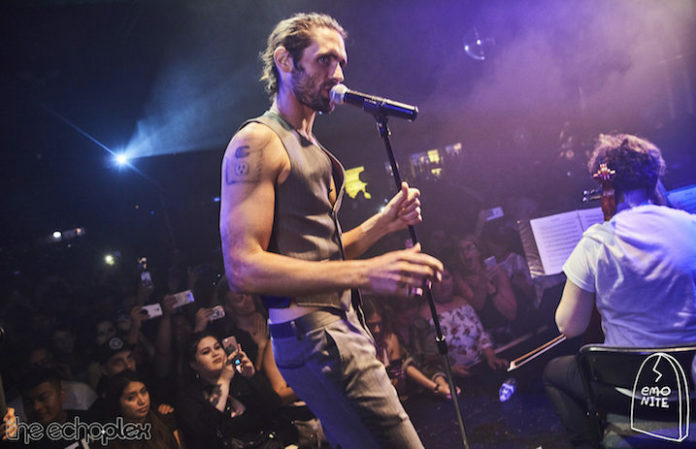 The rumors are true: The All-American Rejects frontman Tyson Ritter performed with the String String Quartet for Emo Nite at the Echoplex in LA last night! As always, others also made appearances at this particular Emo Nite: Here is Sum 41's very own Frank Zummo, celebrating with a face that barely coordinates with the words on his shirt. Maybe he's excited for the APMAs (where he was nominated for best drummer) — who knows? Furthermore, lovely.the.band. put on quite the show! The brand-new alt trio has been taking the Southern California scene by storm. Talk about a successful and exciting Emo Nite! WHEN: Mon., July 17 from 11 p.m. to 2 a.m.